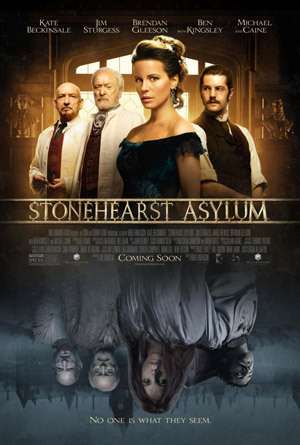 Jim Sturgess, Ben Kingsley and Kate Beckinsale star in the thriller Stonehearst Asylum, based on the short story ‘The System of Doctor Tarr and Professor Fether’ by Edgar Allan Poe. Check out the movie trailer below. A new doctor (Sturgess) becomes obsessed with a mental patient named Eliza Graves (Beckinsale) while working at a mental asylum that’s been taken over by the inmates.